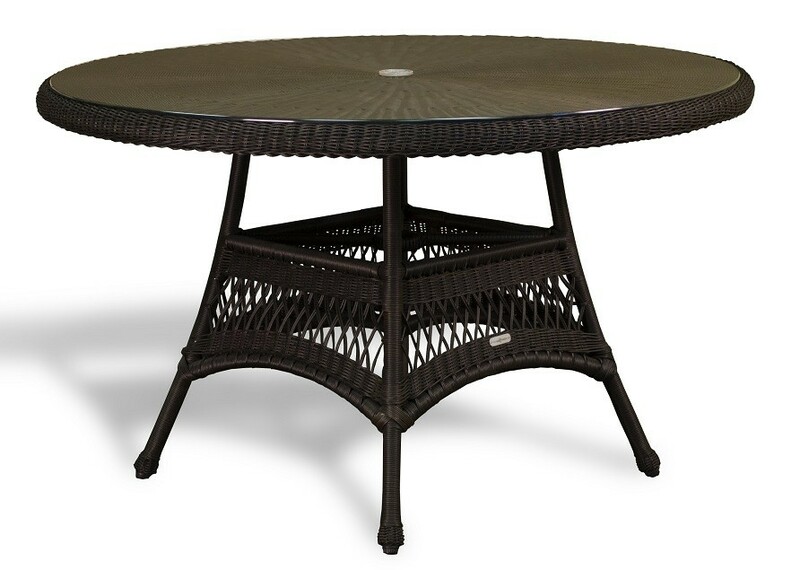 Experience the joy of dinner outdoors by adding this Tortuga Lexington Outdoor Dining Table to your back patio. Pair this dining table with matching Lexington outdoor dining chairs to create a lovely backyard dining experience. 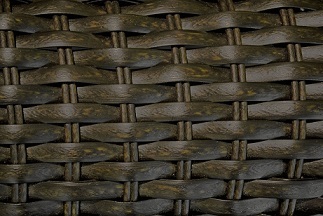 This dining table was created out of all-weather resin synthetic wicker, which means that it's UV resistant and water resistant. 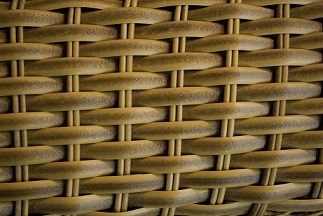 It also won't tear and fray, but it looks just as good as regular wicker does. Your neighbors will never know the difference, and you get to enjoy a piece that will easily last you for ten years or more. 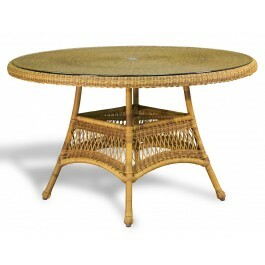 It may even be the last outdoor dining table you ever buy. It's stretched over a powder coated rust-resistant aluminum frame that's tough enough to keep your table sturdy and steady. 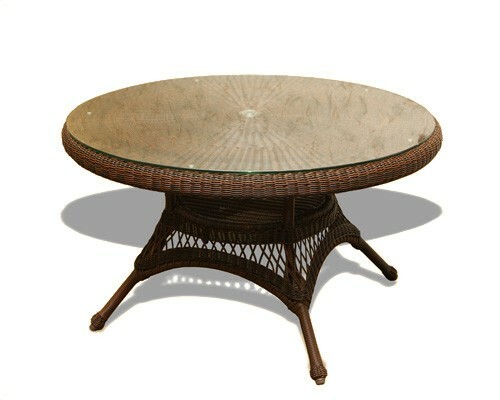 At 48 inches in diameter this table can more than accommodate all of your diners. There's even space for a big outdoor umbrella to shade you as you eat and enjoy. 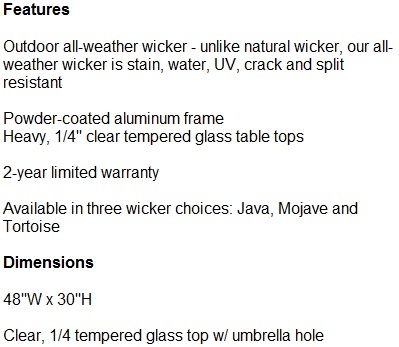 The clear, 1/4" tempered glass top is easy to clean and wipe down in addition to being visually appealing. If you've been looking for the perfect place to enjoy an outdoor meal then don't delay. 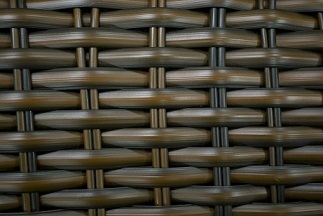 Pick up your Tortuga Lexington Outdoor Dining Table today.